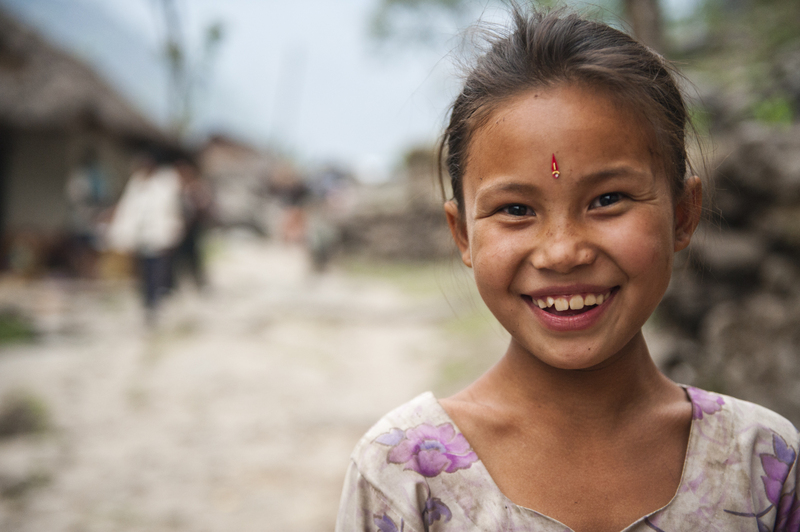 Sangeeta Tamang after her sight was restored. Two doctors and their team of local assistants hike with an entire hospital on porter’s backs to the very remote highlands of Nepal’s Northeast. For 25 USD and 5 min per operation, they cure cataract blinded people in the most remote and inaccessible areas on Earth. The last hope and a life changing experience for the inhabitants of these regions, who would normally not have the means or reaching hospitals in cities. Filmmaker Stefano Levi and his small team joined the doctors to witness the struggle against blindness and to create awareness about the problem of cataract disease – a preventable disability in the developing world. OUT OF THE DARKNESS premiered at several international film festivals worldwide. „Out of the Darkness“ follows Dr. Sanduk Ruit from Nepal, and his American colleague Dr. Geoff Tabin to Nepal’s remote Northeast. They have developed a portable low cost surgical procedure to efficiently restore sight in remote, rural areas. Each operation costs 25 USD and lasts five minutes, with a quality that equals western standards where these operation costs between 1000 and 5000 USD. For the rural poor it is a rescue from their desperate situation: neither they could travel the long way to Kathmandu nor afford the costs for the surgical intervention in the hospital. More than half of the world’s preventable blindness is caused by cataract disease as a consequence of malnutrition and low standard of living. Most of it occurs in developing countries. The clouding of the clear lens of the eye is a widespread disease but fortunately it is also easy to cure. Congenital cataract affects many young children who, if not cured, will not be able to live a normal life and are destined to being a burden for their families. „Out of the Darkness“ shows that this simple and inexpensive surgical procedure not only is life-changing for those affected by cataract, it also influences the economic structure of the communities which are based on the economy and the well being of the family. An independent film, inspired by positive change.